The Federal Government has resolved to encourage young Nigerians to achieve their full potential by deploying Science, Technology and Innovation (STI) to drive nation’s efforts toward promoting economic diversification and growth. 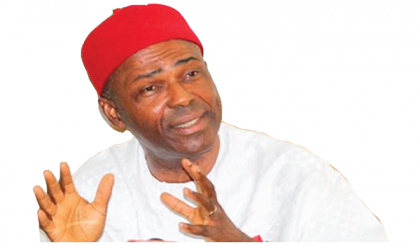 Dr Ogbonnaya Onu, the Minister of Science and Technology made this known when he addressed journalists after the 2018 National Final Examination of the 774 Young Nigerian Scientists Presidential award on Monday in Abuja. He said such effort would help young Nigerians to release their creative energies and make significant contributions to national development. “The administration of President Muhammadu Buhari is determined to ensure that we have a bright future for our young people to release their creative energies. “This event is a child of this circumstance. I congratulate you all for emerging the best in your respective local government areas and states. “Those of you who will excel at the end of this examination will be presented to President Muhammadu Buhari for recognition on March 5, during forthcoming Technology and Innovation Expo, “he said. He urged the participants to keep the flag flying for the sake of the country; pointing out that success was not for the lazy but for hardworking and resourceful people like them. According to him, the first position will receive N1 million, the second will receive N700, 000 and N500, 000 will go to the third position. He added that every participant would receive a Laptop as a souvenir from the ministry being the best from their respective local government areas. He said the ministry would further intensify efforts to stimulate greater interest among young Nigerians to accept STI as a way of life. He said Nigeria could surpass the achievements of China if the nation would create and nurture a better future for young ones to start producing Nobel Laureates in physics, chemistry and medicine. The minister said the feat was what made China to take over from Japan to emerge the second largest economy in the word. “China can feed her over 1.4 billion citizens and has become an important force in the world today, unlike just two decades ago. “The Chinese can be found in virtually all parts of the world, including Nigeria, making important contributions to the development of these countries,’’ he said. The Director, Science and Technology Promotion, Mr Ekanem Udo said the 774 Young Nigerian Scientists Presidential Award was an initiative of the ministry geared toward effectively encouraging and developing the interest of Nigerian youths in STI.